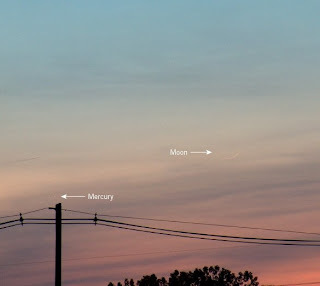 Bodzash Photography and Astronomy: True Young Moon at Dusk Tonight! 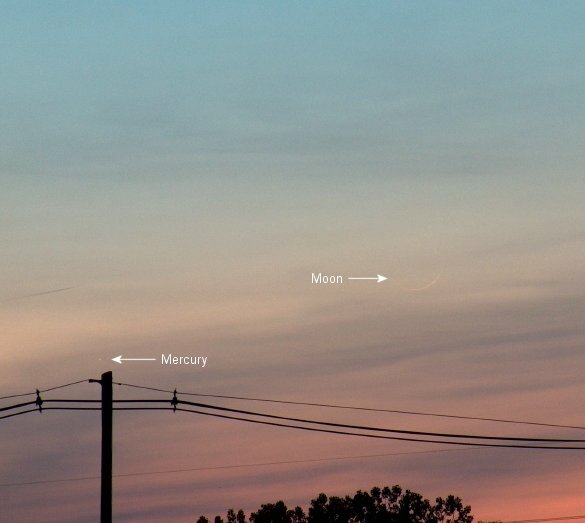 True Young Moon at Dusk Tonight! While the Full Moon is often considered natural light pollution, the same astronomers who hate the full version may plan, days in advance, the perfect spot to sight a Young Moon just past new. So why the change in attitude? Young Moons are, besides quite aesthetic, rare, very rare. To sight a Young Moon under 24 hours old, all the conditions need to line up just right. 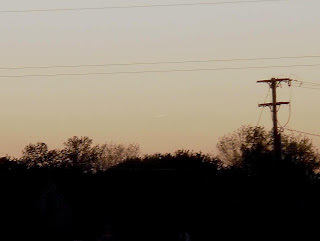 If everything goes perfectly, on the day after New Moon, or even on the same day sometimes, just past sunset, a wire-thin crescent will pop out low on the horizon among the Sun's last rays. Needless to say, when dealing with a Moon less than 2% illuminated, binoculars are a must. 1. Timing. If New Moon is timed too close to sunset, it will be lost in the Sun's glare on the day of New Moon and will be way past a day old come the next night. A 36 hour Moon is no challenge, pure and simple. 2. Clouds. If it's cloudy, there's no seeing the Moon. 3. Light. Young Moon hunters are forced to fight twilight. With the Moon only 1-2% lit, just the act of spotting the Moon low on the horizon in such light conditions is a challenge because that is where the Sun is. A saving grace can be a nearby planet. 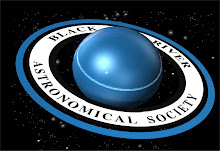 If you can use a bright planet as a marker, it is a lot easier to estimate where the Moon will appear once the sky gets dark enough. 4. Haze. Even more so than during the day, haze makes its presence known at dusk, looking similar to wispy clouds on the horizon. While the biggest problem during the summer, haze can even appear in winter, too. Even a crystal-clear day can produce haze on the horizon at dusk. While the haze will quickly dissipate come dark, that's too late for the Young Moon. These difficulties compounded with horizon issues and a limited window of time where it becomes realistic to catch them (February-May) showcase why Young Moons are the Holy Grail of lunar observers. Now for the good news: spring is Young Moon season. Because of the near vertical ecliptic at sunset, the waxing Moon will hang higher in the sky now than any other time of year, which is good. For Young Moon Hunters, February through May (even June depending on time of month) is an ideal time to look. By the time July rolls around, the ecliptic is undeniably flattening too much to make observing the Young Moon really feasible. As some inspiration, here are some true Young Moons I've captured through the years. Note, there are only three of them, thus showcasing the rarity of everything going just right! 19 hour Moon, 300mm equivalent, May, 2006.